We are a Website Development firm based out of Reedsburg, WI. Our mission is to provide user-friendly websites and applications for our clients. Our approach is unique as we walk our clients through each part of the process and then teach them how to create and update their very own content. Owned by Andrew Derse, a Sauk County born and raised resident, Mad City Coders, LCC brings 10+ years of experience in website development. Andrew has been fascinated with computers since his father let him install Windows 3.1 over and over on old systems using floppy disks. He started out in the IT world at Ripon Medical Center, learning some basic IT tasks and getting a taste of what Website Development looked like while they were implementing an ERP system. Shortly after this, Andrew pursued a degree as a Programmer/Systems Analyst and graduated from Fox Valley Technical College in 2011. He opened up Derse Computers in 2009 providing computer repair and website development services for the residents and businesses within Reedsburg, WI. Andrew has helped several large businesses create internal web applications that handle huge amounts of data allowing top level management to make pertinent business related decisions. 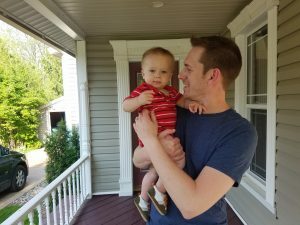 In his first web project that produced tangible results, Andrew was able to save NUK USA over $88,000 per year by building a simple web app within the span of 2 weeks. Imagine what kind of savings your company could experience by hiring Mad City Coders, LLC to convert legacy systems into modern and efficient systems! In 2013 Andrew closed Derse Computer and he and his wife Kelly moved to Monterrey, Mexico where they spent 3 years as Missionaries working for an organization called Back2Back Ministries. On top of being foster parents to 10 girls ( 9 teenagers and a 2-year-old ), Andrew worked as a Web Developer creating a financial suite that tracked income and expenses for millions of Mexican pesos every year as well as a vehicle reservation system that is still operational. In 2016 Andrew & Kelly moved back to Wisconsin to adopt their son Michael. Since moving back Andrew has started to work at Sound Devices as their IT Manager while also doing their website development. When businesses heard Andrew was back in the area, they reached out asking for website help which prompted Andrew to open Mad City Coders, LLC in 2017. The business is still in its infancy, but it's growing well. Andrew and his crew of developers are working hard to provide modern web solutions to address the needs of small, medium, and large businesses. Utilizing the latest technologies and content management systems like Joomla and WordPress, we are able to provide solutions that are both modern and secure. We handle everything from basic websites to full-blown financial database systems. Whatever your needs are, we have you covered. Contact us today and let us help you not only save money but build the best website or application your business deserves. Mad City Coders, LLC exists for 3 purposes. A portion of every dollar made goes to Back2Back Ministries. When you choose us as your website developer partner, know you are helping to change the lives of orphans throughout the world. 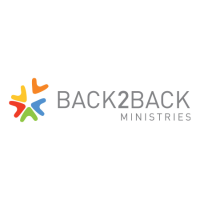 Learn more about Back2Back Ministries here. We appreciate your business and partnership with us as we help support the marginalized child.